FootJoy’s spikeless shoe line for 2017 is its strongest ever, bringing a product to market for every type of golfer. There are super sporty shoes, light shoes, or shoes offering supreme performance. The Contour Casual is the shoe slap Bang in the middle of the spikeless spectrum – it will appeal to a massive amount of players. Compared to the first countour casual shoe – which was a tad on the geeky side – these don’t even compare. They are more streamlined, and a lot more modern. The small details bring the shoe to life. The ‘FJ’ logo remains prominent, which may not be to everyone’s taste. Overall we think they look great. Available in four distinct colours. 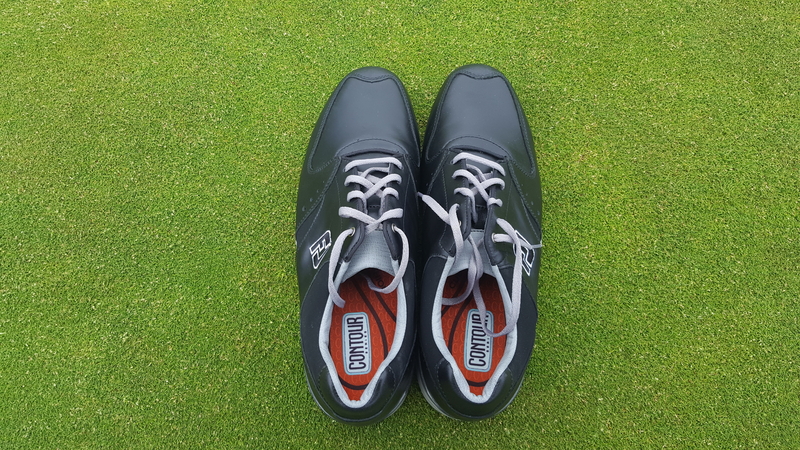 Spikeless shoes have to be comfortable, and the 2017 Contour Casual golf shoes definitely are. Not in a ‘I feel like I’m wearing slippers way’, but plenty enough to wear them all day and not have any issues. 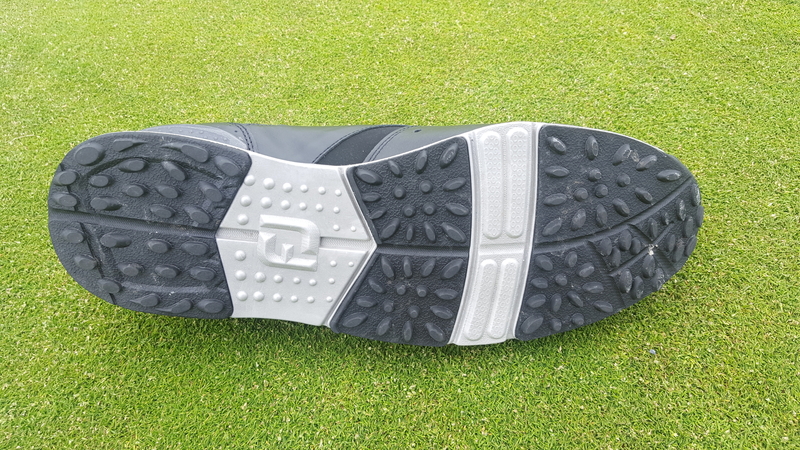 When walking the fairways and swinging, the soft rubber outsole keeps you bouncing around the course, but also offers a stable base. The full leather upper will satisfy the traditionalists, and moulds itself around the foot the more you wear them. We tested the shoes through some abusive summer showers, and found the 100% waterproof stamp to be true. There are decent levels of breathability on offer to boot, but if you want something with maximum levels of breathability and a lighter shoe there are other products in the range more suited. There is an ample amount of grip provided for the summer months. Sure to be a popular choice in the FootJoy spikeless range for 2017. Most players would be happy using these both on and off the course. 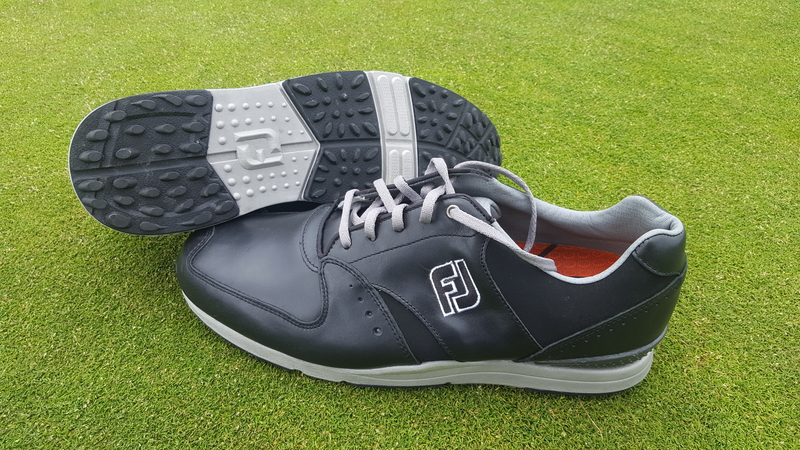 A comfortable, waterproof spikeless shoe, that offers enough grip for summer golf. 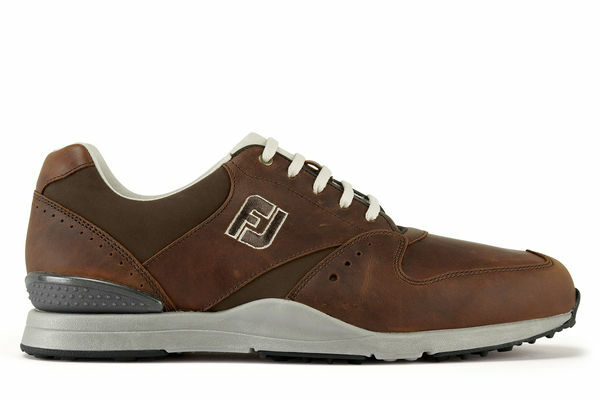 Head to the FootJoy website for more.